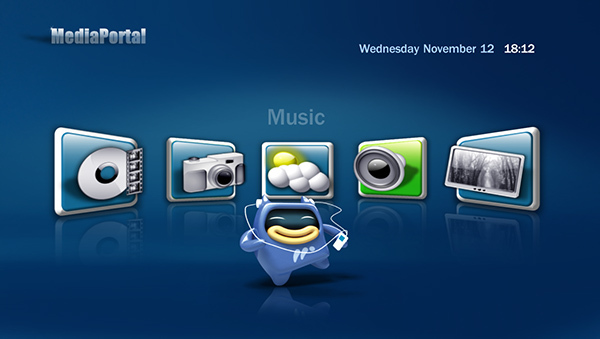 MediaPortal is an Open Source application ideal for turning your PC in a very advanced Multi-Media Center / HTPC. MediaPortal allows you to listen to your favorite music & radio, watch your video's and DVD's, view, schedule and record live TV and much more. As Open Source software licensed under the GNU/GPL agreement, you get MediaPortal for free. This means anyone can contribute to MediaPortal or customize for their own needs! MediaPortal turns your PC and TV into a very advanced home media center. ...... NET framework using C# and currently has a growing international community of over 60,000 users. MediaPortal turns your PC and TV into a very advanced home media center. MediaPortal allows you to listen to your favorite music and radio stations; watch and store your videos and DVDs; view, schedule and record live TV as a digital video recorder. * Create your own skins, or choose one of the available skins! Qweas is providing links to MediaPortal 1.1.3 as a courtesy, and makes no representations regarding MediaPortal or any other applications or any information related thereto. Any questions, complaints or claims regarding this application MediaPortal 1.1.3 must be directed to the appropriate software vendor. You may click the publisher link of MediaPortal on the top of this page to get more details about the vendor.